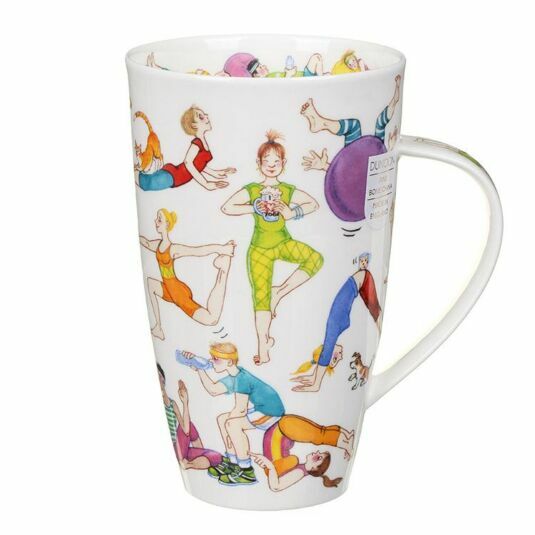 If your into, or trying to get into, the relaxing art of yoga, this mug is the perfect piece for you. Brightly designed by Cherry Denman, this mug offers a pure white backdrop upon which various men and woman are found completing (or failing at attempting) various yoga positions next to each other. The use of purples, greens and reds are prominent throughout the design, with the handle and interior rim of the ceramic continuing the somewhat hilarious illustrations. Give yourself a much needed break after a gruelling session, or one needed before hand with this plentifully sized Henley shaped mug.